At a time when there is so much turmoil in the medical industry, it is good to find some stability. Here is our annual list of the state’s leading doctors. Finding the best doctors for a malady can be a tricky business with enormous, possibly life-saving, implications. Peer recommendations and hearsay can be useful, but what if you could survey the best doctors in the nation in their specialties? That’s what we try to do with this list. But first, as in all medical consultations, some questions and answers are in order. HOW WERE THE BEST DOCTORS SELECTED? The company is also the pre-eminent organization at gathering professional peer ratings. Through the years the company has built a database of professionals who are highly regarded by their peers. Those professionals are in turn interviewed for their recommendations. Listed here are the very latest survey results from Best Doctors. The results were completed in October 2013. WHAT QUESTION IS ASKED OF THE DOCTORS WHO ARE INTERVIEWED? Best Doctors contacts each doctor on the previous list and asks the same question: “If you or a loved one needed a doctor in your specialty, and you couldn’t treat them yourself, to whom would you refer them?” Doctors also confidentially evaluate doctors in related specialties and recommend those they feel excel in specific areas of medicine. DO DOCTORS GET A CHANCE TO RESPOND TO OTHER NAMES RECOMMENDED? Every doctor has the opportunity both to comment (confidentially) on the other doctors included in his or her specialty and to make additional nominations. As new names are added to the pool, each undergoes the same peer-evaluation process. The company has special software to correct for some methodological biases: for example, to detect and correct for suspect voting patterns and to weigh votes according to the ratings of the doctors who are doing the recommending. There is a continual refinement of both the voting pool and the nominee pool. Each time a poll is conducted, the list is sifted, refined and improved for better representation and more solid consensuses. HOW DOES THIS DIFFER FROM LOCAL SURVEYS? One major difference is that doctors are evaluated by their peers nationwide, not just by doctors in their communities. In many areas doctors may be better known and evaluated by those within their specialty groups, regardless of where they live, than by local doctors who may not be as knowledgeable in specific specialty areas. WHAT ARE SOME OF THE RULES THAT THE COMPANY USES? • Doctors are allowed to vote on others in their hospitals and medical practices. The feeling is that those doctors know their peers best – that is where the survey gets some of its most outspoken evaluations, good and bad. • Doctors are never “automatically” re-included. In each annual poll, current Best Doctors are re-evaluated along with the new nominees. • Doctors are not notified of inclusion on the list until after the survey process is completed. Doctors are not required to pay a fee or make a purchase to be included. HOW MANY DOCTORS WERE SURVEYED? As part of its nationwide survey, the company interviewed more than 45,000 doctors. This is the most recent, credible survey of doctors. ARE THE SURVEYS ADMINISTERED RANDOMLY? No. To get opinions with weight and professional credibility, Best Doctors tries to consult the very best. They contact all current physicians on the list, including many department heads at major teaching hospitals, and ask them to rate specialists outside their own facilities. According to Best Doctors, the medical community has been extremely supportive over the past 20-plus years it has administered the survey, providing a 56 percent response rate. There is no perfect, bias-free way to conduct a ranking of any sort. Although Best Doctors has through the years refined its techniques to eliminate biases, any nomination process that relies on peer evaluations will naturally favor more senior doctors who have had time to develop their reputations. Those who are new to their professions or those who have not had much peer interaction will naturally get less recognition. The broadness and the depth of the voting pool helps eliminate biases and cronyism that might be reflected in smaller surveys. HOW WERE THE MEDICAL CATEGORIES USED IN THIS SELECTION DETERMINED? They were selected by Best Doctors. Of course not. We have no doubt that there are many worthy doctors who were not included in the list. We are confident, however, that all who are listed are truly Best Doctors. Note: These lists are excerpted from The Best Doctors in America 2014 database, which includes more than 45,000 doctors in more than 40 medical specialties. 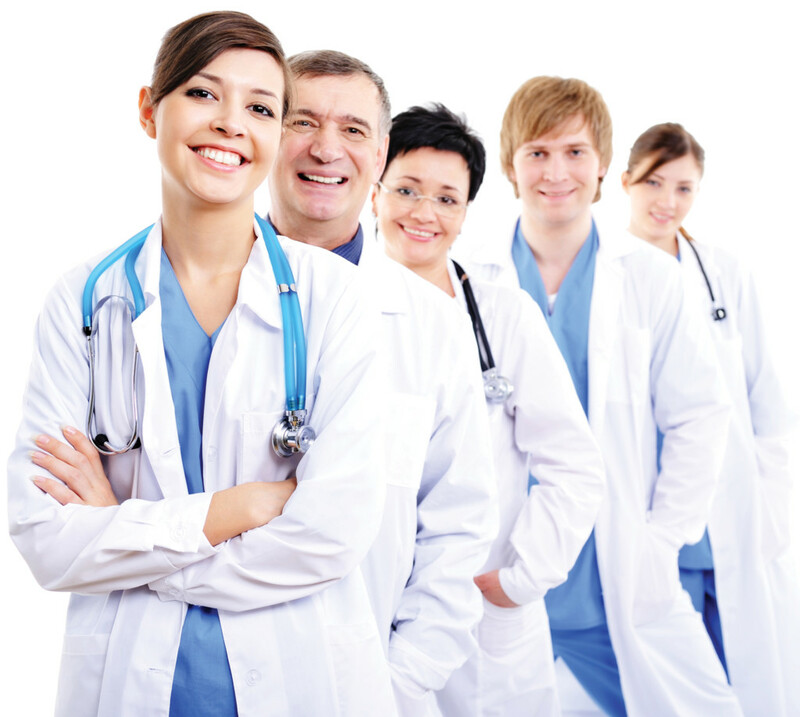 The Best Doctors in America database is compiled and maintained by Best Doctors Inc. For more information, visit www.bestdoctors.com or contact Best Doctors by telephone at (800) 675-1199 or by e-mail at research@bestdoctors.com. Please note that lists of doctors are not available on the Best Doctors website. The Louisiana list is available on www.louisianalife.com. Leopold De Blanc Landry Jr.